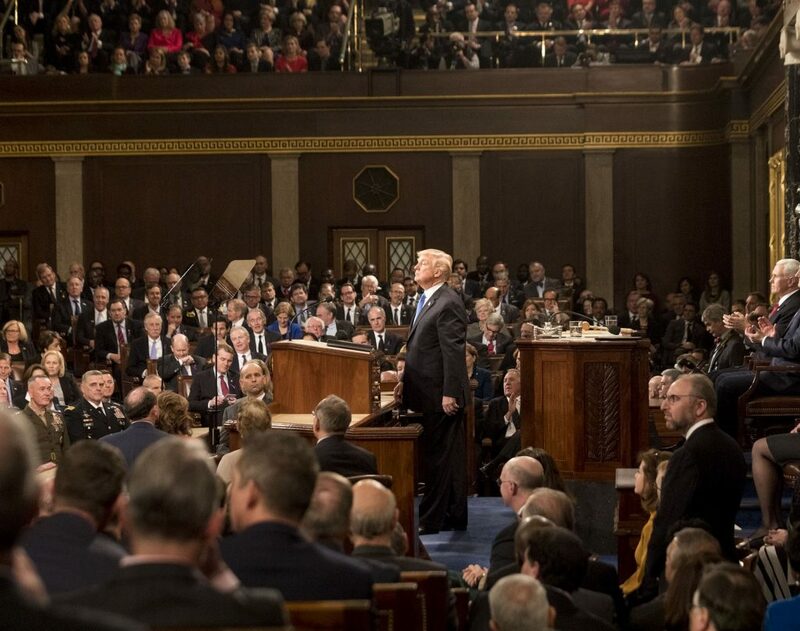 Immigration will undoubtedly be a central issue during President Trump’s State of the Union address. However, it’s unlikely that any of the proposals the president advances will move us closer to a policy breakthrough. It’s more likely the president will propose ideas that make our immigration system less effective and do little to keep us safe. The Trump administration’s solutions on immigration have so far only created more problems at the southern border, in the immigration courts, and for our legal immigration system. The president has been insisting on $5 billion to build a wall along the U.S.-Mexico border, claiming that a physical barrier would prevent migrants from crossing into the United States without authorization. But building more fencing is costly and unnecessary. Extensive barriers on the border already exist. They have done little to impede illegal border crossings. A wall will also not stop drugs from being smuggled into the United States, as most come through legal ports of entry. Instead of a wall, U.S. Customs and Border Protection (CBP) agents say additional border security technology would be more helpful. This includes drones, sensors for ports of entry, and other surveillance systems. Congressional Democrats offered more technology like this in recent negotiations on border security. The United States has a well-established asylum system. Yet the administration has repeatedly tried to dismantle that system and create deadly barriers for asylum seekers fleeing to the United States. The administration’s attacks on asylum have been wide-ranging. Asylum seekers have been illegally turned away at the border, separated from their families, and denied access to the asylum process. Some are being forced to wait for their court dates on the Mexico side of the border despite the well-known dangers. Changes to asylum law have also disqualified many from receiving protections. This puts vulnerable people in dangerous situations and curtails their access to counsel. The solution to this self-made problem is simple—Trump should allow people to access our established asylum system so they can be vetted for protection in a safe and timely way. To make this a reality, there must be meaningful oversight of CBP and their handling of asylum seekers at the border. We can also complement protection at the border by increasing refugee admissions from abroad. Under the current administration, U.S. Immigration and Customs Enforcement (ICE) abandoned their pre-existing enforcement priorities. Instead of targeting immigrants who present a risk to public safety, the agency began arresting anyone in the United States without legal status. ICE arrested nearly a third more immigrants who had no criminal history in 2018 than in 2017. They have also placed more people who have resided in the United States for long periods of times in removal proceedings. More expansive enforcement has devastated communities, as deported parents often have no choice but to leave behind their U.S.-citizen children and local economies suffered after immigrant workers were arrested. A return to common-sense enforcement priorities would cause far less damage for families and communities and use limited resources more effectively. The administration is also cutting legal immigration. These cuts are hurting the United States’ standing as a global competitor and causing worker shortages across the nation. This has included changes to employment visas and policies that could bar foreign students and exchange visitors from coming to the United States. The administration even proposed a complete overhaul of the U.S. immigration system that would cut legal immigration in half. The United States needs to remain a welcoming place for foreign talent. Rather than finding ways to slash legal immigration, the president needs to embrace it so our country does not fall behind. President Trump’s harsh vision for immigration is increasingly out of step with what’s in the best interest of the nation. The state of the union would indeed be stronger if the president offered productive, bipartisan solutions that make America a more welcoming and prosperous country.